Synergy Fitness is thrilled to have Mahoney Chiropractic Care located within our facility, in their Clinic. Together we are committed to providing the utmost wellness services to our community. Having Dr. Mahoney and Dr. Bonneau here with us is such a convenience for our members as well. Research has shown how beneficial it is to integrate fitness and chiropractic care. The discipline of both allows for maximizing your results in sustaining a healthy lifestyle. His recently released fourth book “Bulletproof: 35 Proven Strategies to Lose Weight over 35, Build Lean Muscle and Turn Back the Clock on Aging”, is now available on Amazon.com. 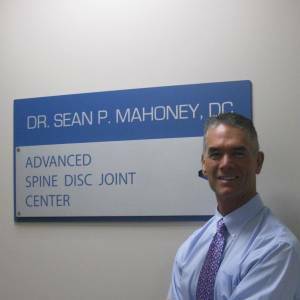 Dr. Mahoney is the director of Mahoney Family Chiropractic, LLC. With practices located in the Burlington area (exit 16, I-89 Colchester), Waitsfield and Williston, VT (at Synergy Fitness). 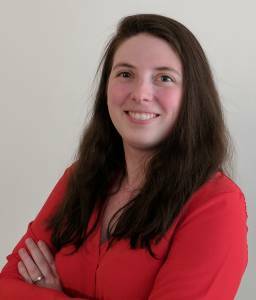 Dr. Nicole Bonneau was born just outside of Boston but raised in Vermont. She went to CVU high school where she was a member of the National Honors Society and Captain of the Varsity Ice Hockey Team. She then attended Wesleyan University in Middletown, Connecticut where she continued to play hockey and studied European History and Earth and Environmental Science with Pre-medicine. Directly after graduating from Wesleyan, Dr. Bonneau was accepted into the prestigious Palmer College of Chiropractic, Florida Campus and graduated in 2016. In her free time she enjoys reading, being outdoors and on the ice. She strives to promote healthy living in her work with all patients. Dr. Bonneau also holds an “Advanced Proficiency Rating” with the Activator Method Technique.